To analyse and forecast market size of European non residential air conditioners market, in terms of value as well as volume. To define, classify and forecast the market on the basis of product type and by country. To identify drivers, challenges and opportunities available in the market. To delve into competitive developments such as expansions, new product launches and supply contracts. To evaluate competitor pricing, average market selling prices and margins in European non-residential air conditioners market. 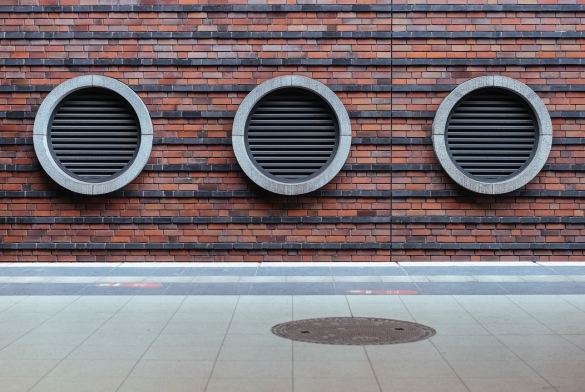 To strategically profile leading players involved in supply of air conditioners in Europe. 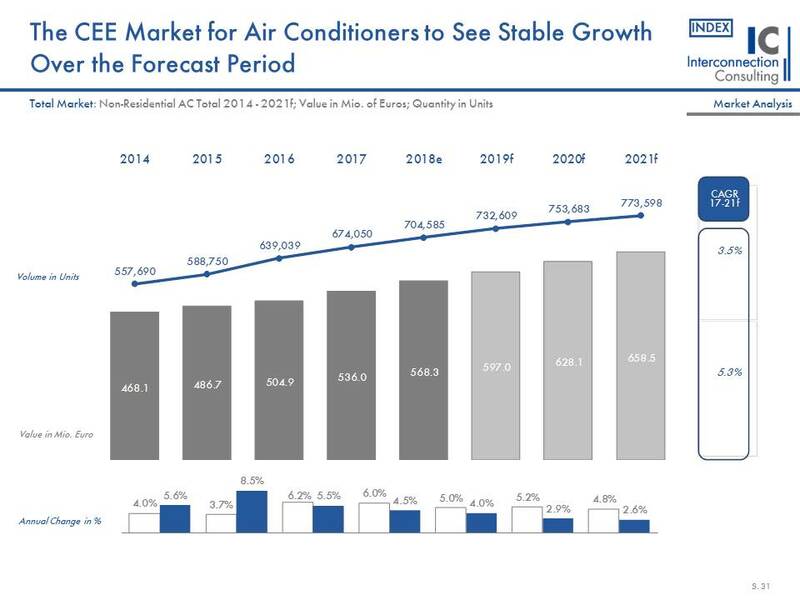 The non-residential air conditioner market will increase its sales in the CEE countries (Central and Eastern Europe) by 4.5% this year. Sales volume has reached EUR 568.3 million, representing an increase of 6.0%. The market is also expected to continue to grow over the next few years. According to a study by Interconnection Consulting, industry sales will see an annual increase of 5.3% to the year 2021. As part of the EU’s environmental goals (-20% CO2 emissions, +20% renewable energy, -20% energy consumption), air conditioning systems have also been affected by the EU regulation. Thus, in an attempt to make the market more transparent, the ratings for air conditioning systems have been revised. New performance indicators (seasonal energy efficiency ratio – SEER; seasonal coefficient of performance – SCOP) are designed to accurately assess performance throughout the entire year, instead of measuring short-term performance as was the case in the past. Furthermore, the EU will now be controlling imported goods more carefully, thereby creating a better competitive environment for European manufacturers. This, in turn, also affects pricing. As a result, Interconnection expects to see an above-average price increase on the market, which means that the nominal increase in revenue will amount to 5.3% annually to 2021, while sales volume will only increase by 3.5% per year. The largest markets are Romania and Bulgaria. 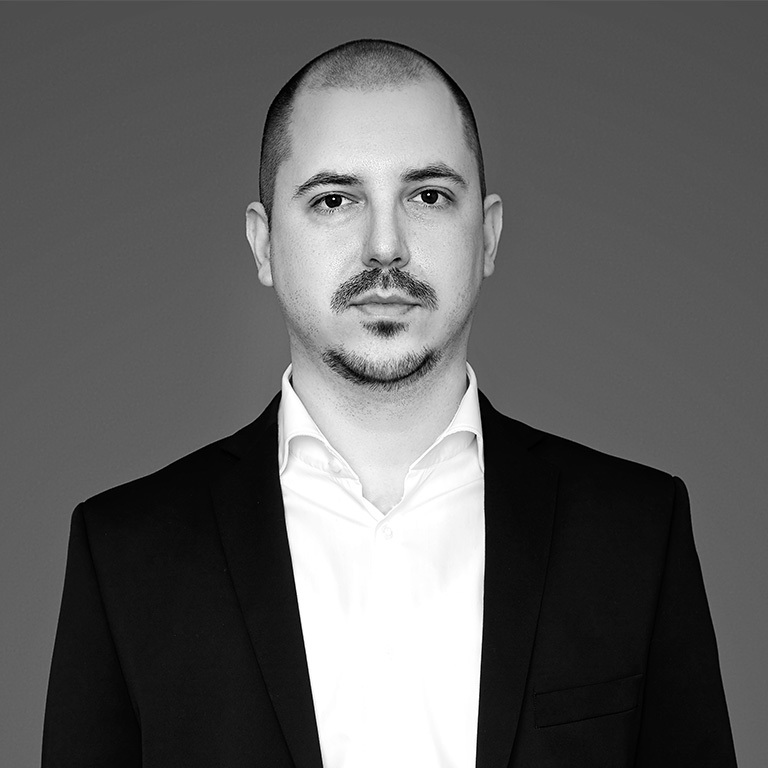 In 2017, sales growth was 5.2% in Bulgaria and 4.8% in Romania. The fastest-growing markets are Bosnia (17.5%), Serbia (16.0%), and Albania (13.6%). At the other end of the spectrum last year were the Czech Republic and Slovakia, whose sales both stagnated. The biggest market segments are offices, with a market share of 36.3%, and commercial properties (29.4%). However, as the market share of offices continues to rise, it is stagnating in the commercial buildings sector. Due to the increasing supply in tourism, hotels are also experiencing an upward trend. Their market share is currently at 24.4%. 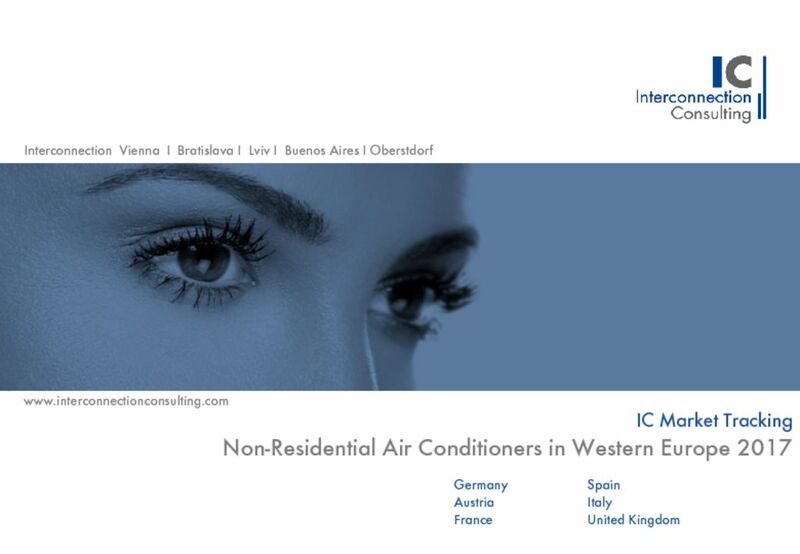 Compared to Western Europe, the market share of single-split systems (permanently installed air conditioning units consisting of an outdoor and an indoor unit connected by refrigerant lines) is relatively high in Eastern Europe. In 2017, this segment accounted for 46.0% of total revenue. 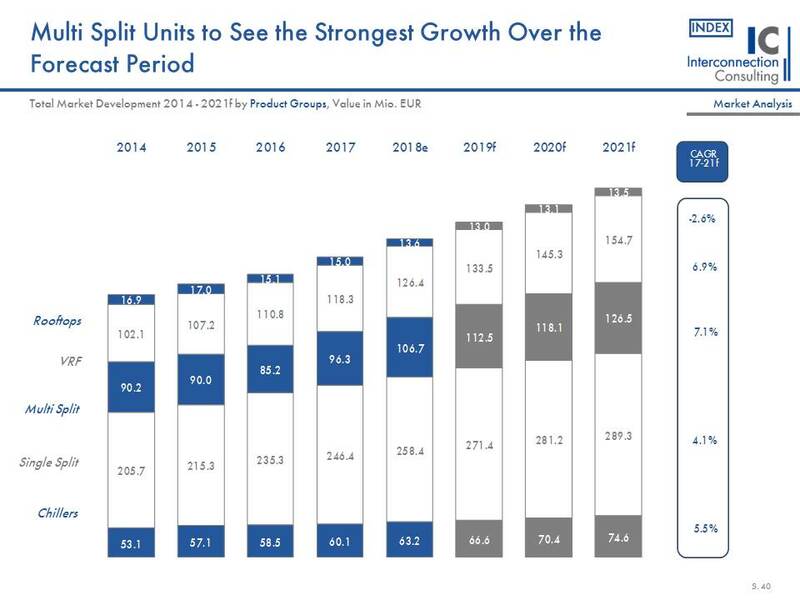 In terms of value, VRF units (cooling and heating with heat recovery) represent the second-largest product segment this year with a market share of 18.0%, followed by multi-split units (18.0%) and rooftop units (rooftop central air-conditioning units) with 2.8%. Although the single-split segment will maintain its leading edge over the medium term, the strongest growth is expected from VRF and chiller products, with an average annual growth of 6.9% and 7.1%, respectively.